PACKING: 25kg net each in P.P woven bag lined with P.E bag. 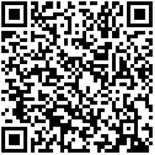 PROPERTY: Colorless crystals, odorless, extremely hygroscopic, easily soluble in water. It can be dissolved in glycerin but insoluble in alcohol. Its accessibility makes it easily become monohydrated salt when it is exposed to the air. 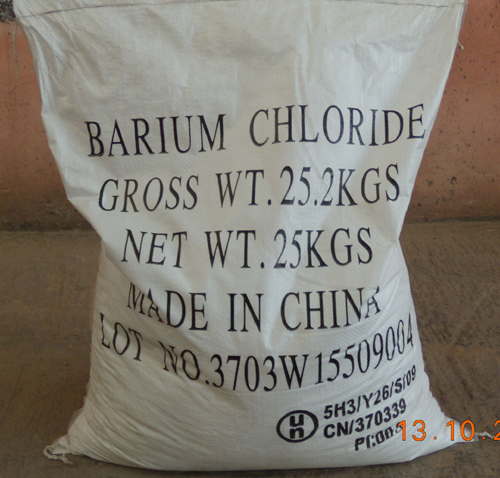 USES: Raw material for producing barium salts. Mainly used for chlorine-alkali industry, papermaking, dyestuff, rubber, ceramics, oil refining, petrochemistry and also can be used as pesticide. (4)Character:Colourless,flat rhombus crystal,usually with two crystal water.Dissllving point:962 .Boiling point:1560 poisonous.Wash in water whin getting in on the skin.After poisoning,take sodium sulphate or magnesium sulphate. (5)Use:As a raw material for producing bariumn salts,such as barium hydroxide, barium nitrate and barium carbonate etc.Widely used in papermaking,dyestuff,rubber,plastic,ceramics¡¢iol refining and petrochemistry and so on.Also used to heat-treat the metals and remove sulphate in the salt water in chlorine-alkaki industry. (6)Storage and transportation:Keep dry and prevent damp. (7)Packing:Packed in polypropylene bag,lined with polyethylene bag,50kgs or 25kgs/bag net.